Support TJ Arts to the MEX! Join TJ Arts for food, fun and fundraising at Mad Mex Shadyside! Tickets are $40 each and include full Mexican Fajita Buffet Dinner, unlimited chips, salsa and guacamole, wings, soft drinks, dessert and one Dos Equis draft beer or house margarita, plus gratuity. To purchase, click here or call 412-655-0747 by February 21! All proceeds benefit WJHSD arts enrichment programs. Support TJ Arts with #GiveBigPittsburgh on November 27, 2018! TJ Arts is excited to participate in #GiveBigPittsburgh on Tuesday, November 27, in a city-wide day of giving. Please support our arts education programming and help us meet our $2,000 in pledged donor matches by making a donation on November 27! Tickets now on sale for 3rd annual ROCK THE ARTS! TJ Arts’ benefit rock concert returns for a third year with Rock the Arts: Live at The Crafthouse! Hosted at The Crafthouse Stage & Grill, we are delighted to welcome back hometown country duo Steel Blossoms, now based in Nashville, who include 2010 Thomas Jefferson High School alumna Hayley Prosser and 2007 Frazier High School alumna Sara Zebley. Joining them is The Todd Jones Band, a country group led by Elrama native Todd Jones. A limited number of tickets are available, so reserve yours today! Click here to purchase tickets. Adults are $20, children 12 and under are $10. Doors open at 5:00 pm, music begins at 6:30 pm, and complimentary valet parking is provided that night for all guests. Seating at The Crafthouse is first-come first-served, so come early to get a great seat and place your food and drink order, which may be purchased separately. Your ticket includes admission to the concert, and all ticket proceeds benefit arts enrichment in West Jefferson Hills. TJ Arts proudly announces the winning artist for a large-scale artwork commissioned for the rebuilt Thomas Jefferson High School. After a one-year search, on March 31, 2018, Dennis Stocke was selected from a field of 27 applicants. Mr. Stocke is an art teacher for the Upper Saint Clair School District and a graduate of California University of Pennsylvania. The subject of the artwork is the third President of the United States, Thomas Jefferson, the namesake of the school. The mural-sized artwork will greet students, teachers, staff, residents and visitors as they enter the main atrium of the school; as such, it will be the artistic signature of the new building. The finished product will span the bulkhead of the atrium, measuring approximately 42 feet wide by 6 feet high. The selection committee was comprised of TJ Arts Board Members, WJHSD administrators and staff, professional artists, and community residents. Executive Director of TJ Arts, Karen Suszynski, says, “TJ Arts is pleased to make this gift to the new school as a statement of the importance of arts in the education of every child. The final choice will make an appropriate visionary and dramatic statement for Thomas Jefferson High School.” This commission is completely supported through donations made to TJ Arts by individuals and institutions. So much to love this spring! 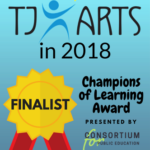 TJ Arts has so many exciting things coming up, including being nominated as a finalist for the Champions of Learning Awards presented by the Consortium for Public Education. We’d love to see lots of TJ Arts champions celebrating with us at the awards ceremony on April 7, so click here to register! Thanks to encouragement from the West Jefferson Hills School District, TJ Arts is commissioning a new piece of artwork that will hang in the atrium of the new high school currently under construction. Four semi-finalists have been selected from a field of 27 applicants, and the finalist will be chosen in the spring. Stay tuned for more! 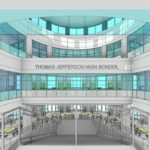 TJ Arts has re-opened the opportunity for Pittsburgh-area artists to apply to create a public art piece for the new Thomas Jefferson High School. All interested artists must submit the RFQ application by Friday, December 1, 2017. Artists who have previously applied need not submit any additional materials. Click here for the complete RFQ. TJ Arts is seeking an artist in the Pittsburgh area to complete a $10,000 commissioned public art piece for the New High School in Jefferson Hills. 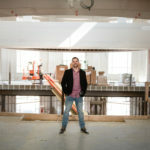 The commissioned artwork will be a large-scale portrait of Thomas Jefferson, namesake of the new school. Click here for the RFQ (Request for Qualifications). 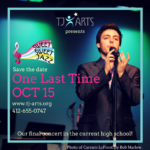 Join us for TJ Arts’ 8th annual Sweet Sweet Jazz as we celebrate “One Last Time” performing in the current Thomas Jefferson High School before the new school opens next year. Held Sunday, October 15, doors open at 5:30pm with desserts, and the music will begin at 6:30pm. This year’s concert will be an unforgettable evening, dedicated to the late trombonist, Bill Balas. Order your tickets online today – now easier than ever, through Eventbrite! Tickets are $20 for adults, $10 for all students. All proceeds benefit arts enrichment programs in West Jefferson Hills. 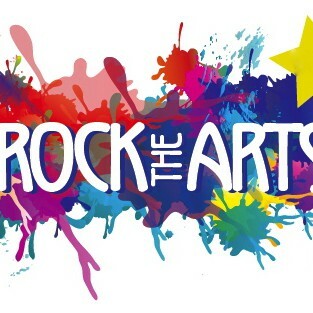 Rock the Arts is SOLD OUT! After a successful Rock the Arts in 2016, we’re bringing back this popular summer concert – along with the Steel Blossoms and Taylor Made, too! This year we’ll be at the Crafthouse Stage & Grill. © 2019 TJ Arts, all rights reserved.